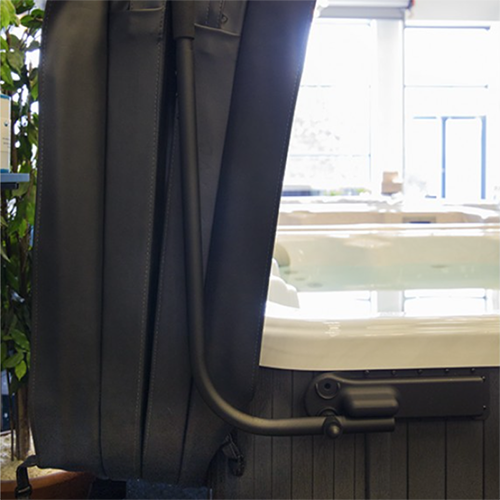 The Foldaway cover lifter is an innovative product which adds a new degree of luxury and comfort to spa ownership. This automated cover lifter folds away within approximately 30 seconds, and settles at its pre-programmed parking position. When fully opened the cover rests behind the pool out of the bather‘s view. Although the Foldaway system is designed to give you an unobscured 360° view it can stop in any position between fully closed and fully opened. 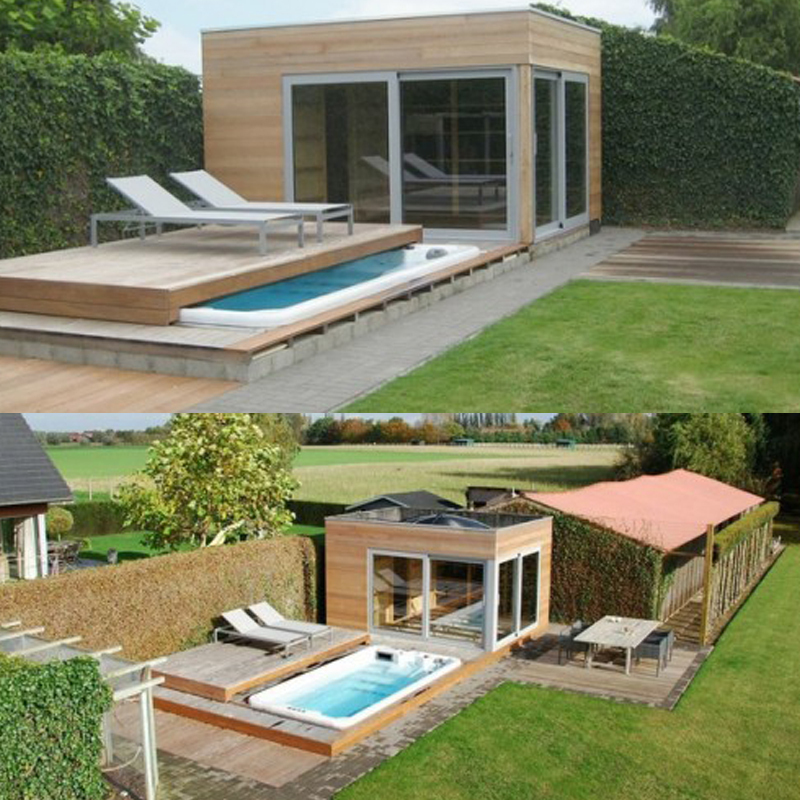 This can be important if space behind the pool is limited. 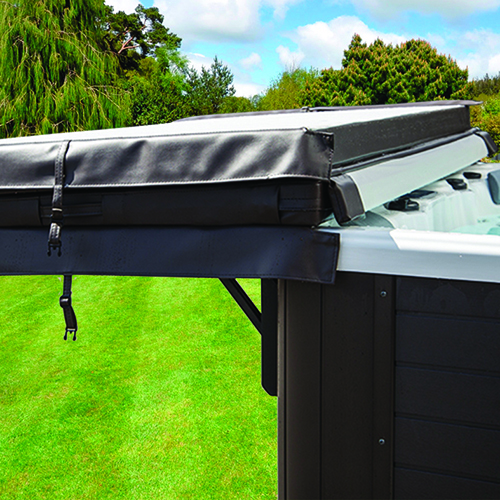 The Roll Up cover makes removing and replacing your pool’s lid incredibly easy. It does what it says on the tin, you roll it up. Starting at one end of the pool you roll the cover whilst walking along and moving through your pool. If you want to swim by yourself and don’t have another person to remove the traditional lids with the roll up makes the whole process easy and one person friendly. For the designer look and total ease of use it must be a Riptide rolling deck. Once your pool is recessed into your space the Roller deck is positioned on top, which until you remove the deck completely hides your pool. Our rolling decks are available in both manual or automatic formats. Both formats fit over your pool, insulating it and keeping the water lovely and clean and safe from anyone falling in. The framework rolls on special tracks to either take the deck off long ways or sideways depending on your requirements. The 4 Seasons Enclosure is designed to sit perfectly on top of our swim spas, exercise pools and Hot Tubs & Spas to protect you from the different seasons and weather that we get here in the UK, whether it is raining or snowing the 4 Season Enclosure allows you carry on swimming without being disturbed. 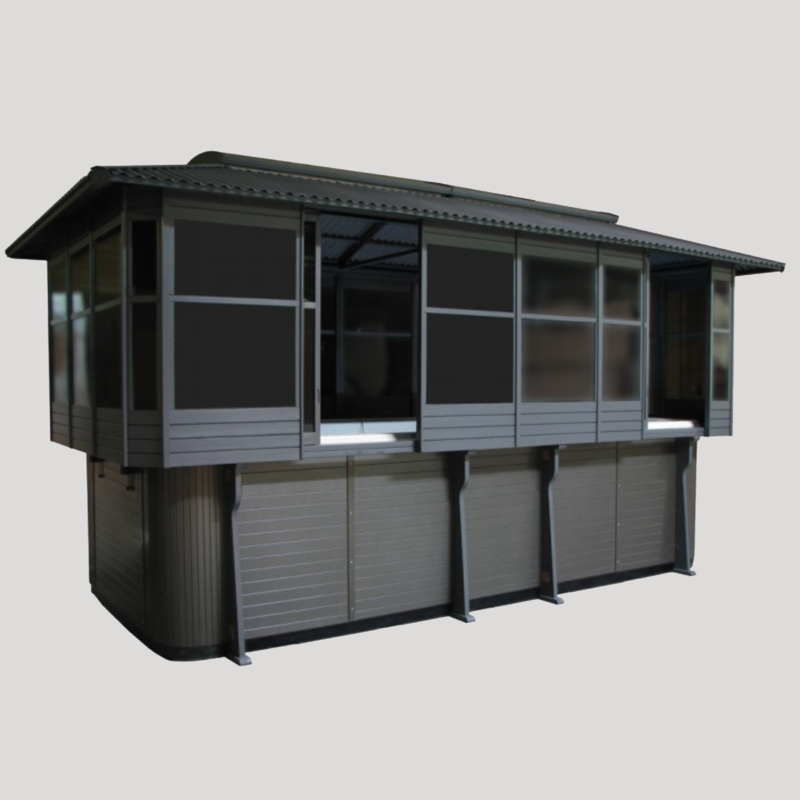 The enclosure comes complete with opening windows fitted with bronze tinted acrylic. Easy lifting and low-profile positioning are two key attributes of the CoverMate Vanish. 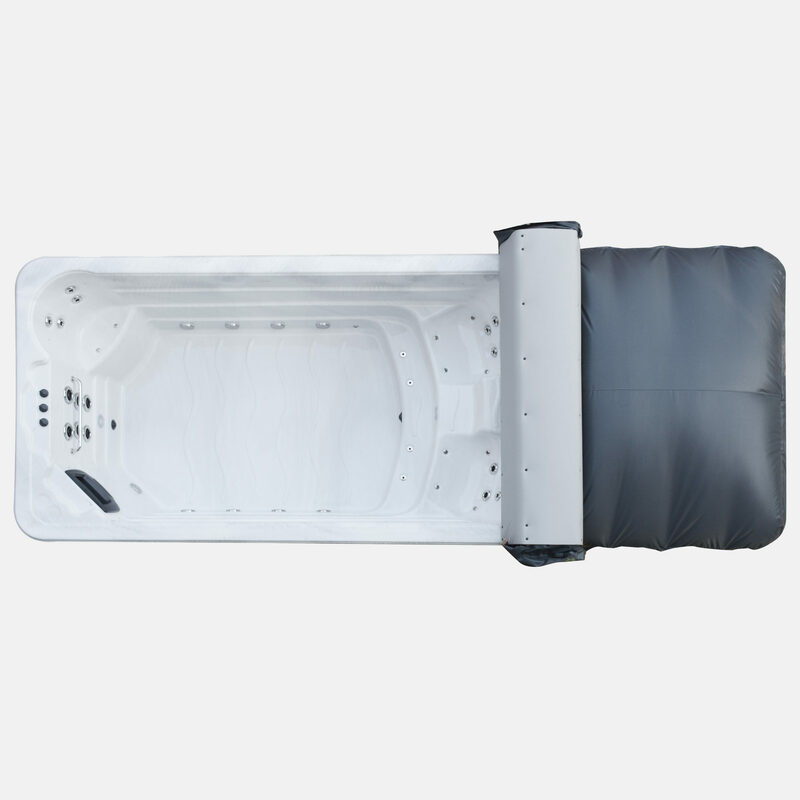 The highest quality materials and an aesthetically pleasing design make the CoverMate Vanish a must have for all hot tub owners. The Amazingly strong and smooth Cover Vanish Hot Tub cover lifter makes cover removal effortless. Made from powder black coated aluminium the lifter has 2 hydraulic arms to assist in lifting the cover off and on. The vanish cover lifter comes flat packed with detailed instructions and will fit almost all hot tubs & spas. The Cover EX is our most popular cover lifter on all of our Riptide Products. By having a pole running along side it makes removing the lids easier than just having to lift the lid itself. 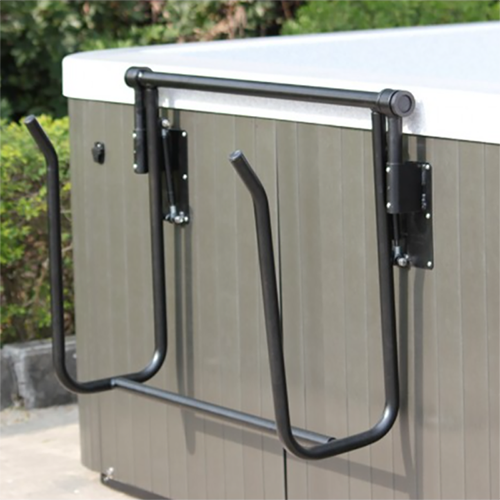 The Cover Ex Lifter does exactly what you want a cover lifter to do, it helps you remove and replace the covers to your hot tub or swim spa with ease. The surprising ease in which the Cover Ex helps remove your spa cover will impress, and will undoubtedly lead to more soaks in your hot tub. Reinforced aluminium construction ensures that the Cover Ex will perform in any backyard environment and requires only 12″ of operational clearance. Backed by a comprehensive 5 year warranty. Instead of removing the thermal cover of your pool and having to lean it against a wall or on the floor, where it can become dirty and damaged, this device allows you to fold and slide your cover off very easily into the Cover Basket. Once in the Cover Basket, your cover stands vertically, neatly out of the way and safe from dirt and damage, ensuring it picks up no scuffs or scrapes. 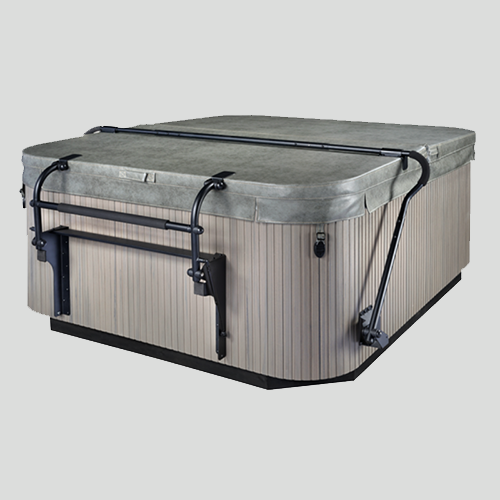 The Cover Basket is a hydraulically assisted cover removal system for hot tubs & spas and swim spas, by lifting it so it is the right height to just slide in and out, making the whole process less strenuous. This is one of our most popular cover lifters. It’s hard to imagine a more simple or effective method of Swim Spa cover removal and storage than the Riptide Pool Glide. Simply fold the cover in half and slide it out onto the sturdy arms and roll it along on the integrated wheels, pull your swim spa covers on and off as needed with ease. When not in use the Pool Glide folds flat and sits unobtrusively on the pools side. Making a 2 person job easier together or making it even easier for yourself to carry it out on your own. Available as an optional extra with all of our pools is a full Audio System. This includes IN.Stream bluetooth module, transducer speaker system, and a subwoofer speaker built into the frame providing excellent sound. 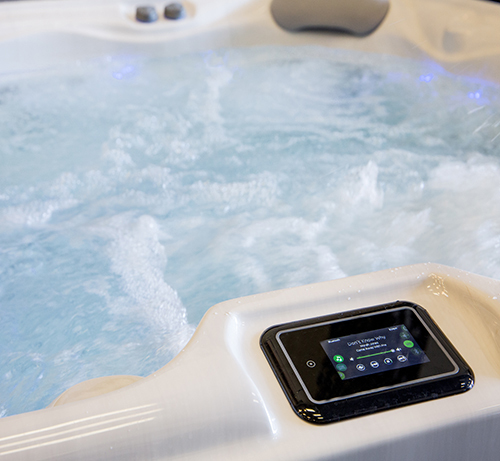 The Riptide hot tub range includes different styles and sizes from small 2 person hot tubs & spas to large 8 person and commercial hot tubs & spas. Something to suit every garden and budget.